Decorating with Ottomans and Rugs - Plus a History Lesson! There are two interior design elements that I believe are some of the best ways to tie any living space together: Ottomans and Rugs. 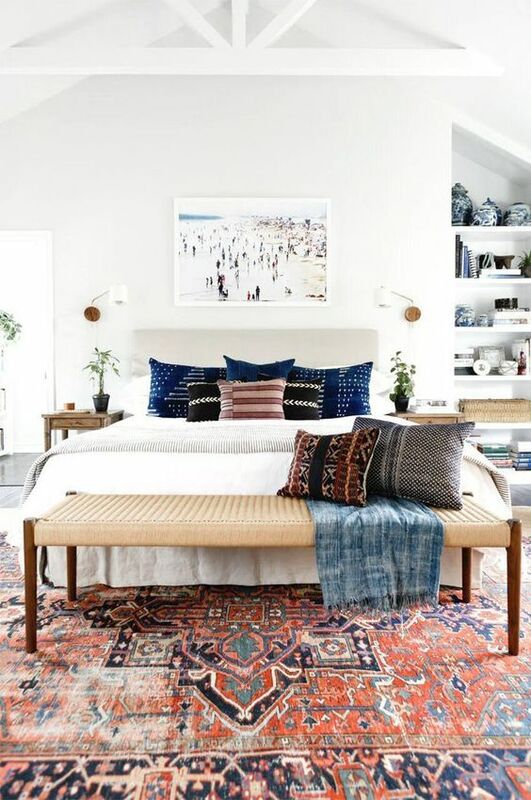 Both rugs and ottomans are often the last design element that people purchase for a new space, but are probably the most essential. I get it! You want to make sure you have somewhere to sit, eat, work before thinking about decorating. Because of this, people focus their attention on getting furniture they like, and work around that furniture to find other things that match. But what if you purchased an area rug first and then fit your furniture around that? Nothing pulls a room together like a rug can. I incorporate rugs into nearly all of my projects (even placing them on top of carpet) because I find that they make rooms warm and inviting. They define the space without shrinking it and bring dimension as well as interest to the room. Your area rug sets the tone and feel, so why not start there? Along with rugs, I think every good room needs an ottoman. Ottomans (benches/poufs/whatever you want to call them) have so many uses; they can play the role of a coffee table, extra chair, footrest, and even storage space! Most spaces can benefit from and easily fit an ottoman, as they don’t have to be large and take up too much room. Any time I work on a project, I like every unique design element to have a purpose. Rugs and ottomans serve so much purpose and are very simple to design the rest of your home around. Plus, they are both relatively easy to switch up if you ever want a small re-decorating project. 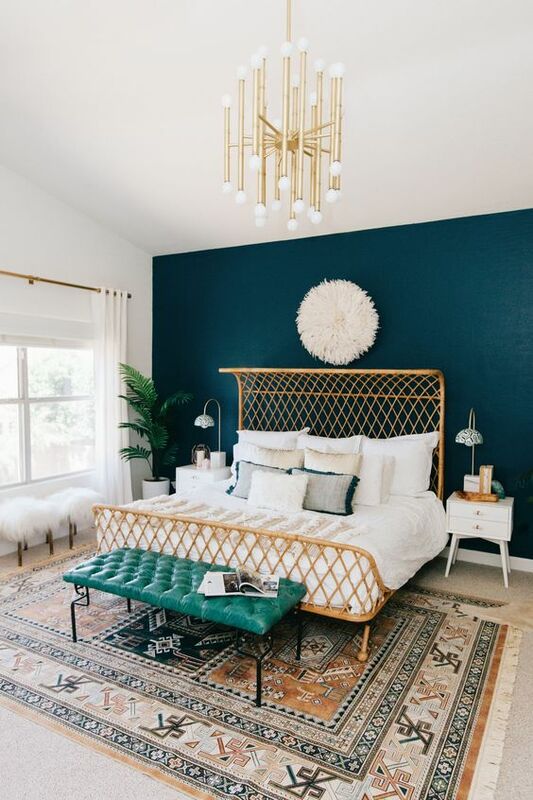 Even as a professional interior decorator, I am often amazed at how they can make a beautiful statement in any room, regardless of the furniture that fills up the rest of your space. Together they can transform a space to be fun, elegant, modern, or even cozy! You don’t have to get too matchy-matchy. If you try to match an exact color in the rug with the ottoman, it may not work out as well as planned and end up clashing. Instead, go with coordinating colors and textures. If you are going to go with two patterns, make sure they contrast well in color and that one is much simpler than the other. It’s easy to get too busy, but remember, you still have other furniture in the room too. Consider interesting textures for the ottoman that will make it stand out but not overwhelm the rug. For example: tufted fabrics, wicker, and wood. These leather stools are some of my favorite extremely versatile ottoman styles! End of the bed, true ottoman, extra seat, the options are endless. Get yours here! I hope that these ideas help to bring some inspiration to help you decorate your home! Feel free to check my website for more information on consultations! Subscribe here to receive blog updates with more of my ideas and philosophy on Trim Spaces!